TRADE and Industry Minister Paula Gopee-Scoon on Wednesday said TT was doing what it could to deal with the outcome of the Brexit process in the UK. On Tuesday the House of Commons rejected British Prime Minister Theresa May's Brexit plan for Britain to leave the European Union. The defeat was said to be the biggest for a government in the House of Commons for over a century. Gopee-Scoon said, "We continue to work together, doing the necessary legal scrubbing to ensure that we are ready for a UK agreement should that be the outcome." 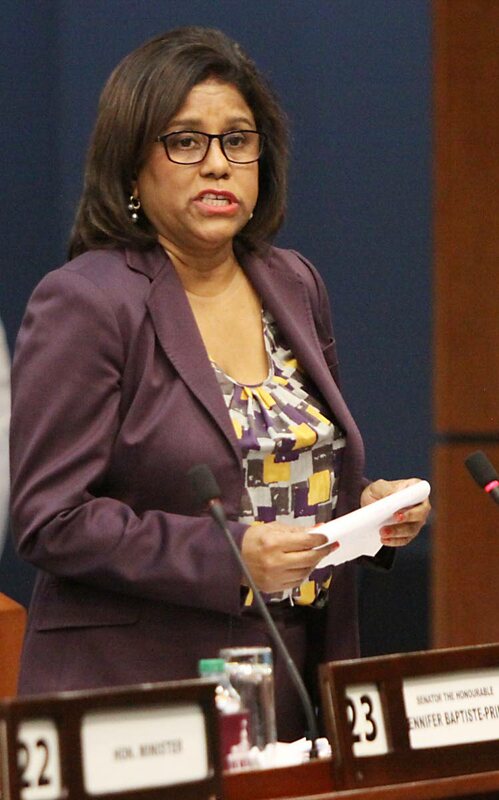 Caricom, she said, "has to be prepared for either side of the result." This country is not taking any position on events taking place in the UK regarding Brexit. Gopee-Scoon said, "As it is, the UK will continue with its internal affairs which will result in a favourable position to its population." Former trade minister Mariano Browne said Brexit will not have any negative trade implications, because the UK is not TT's main trading partner. He explained that countries such as Barbados, which rely heavily on the UK for tourists. Browne said while TT and the UK continue to have healthy trade relations, the UK is not this country's main trading partner. Browne said the defeat of May's Brexit plan has lessons which local politicians should heed, and this was a case where political differences were not managed across the floor. Browne said this could result in significant opportunities being lost. Of more immediate concern to TT should be ongoing developments in Venezuela. Browne said TT should be looking at whether any sanctions imposed on Venezuela could negatively affect this country's economy and potential economic prospects. Noting the United States' opposition to Venezuelan President Nicolas Maduro's administration, Browne said the US is TT's biggest trading partner. Former head of the public service Reginald Dumas recalled the intention of Brexit was for the UK to get out of the European Union and have more trade with the rest of the world. Dumas did not see the defeat of May's Brexit plan having a negative impact on TT's trade or diplomatic ties with the UK. As a very small country, Dumas said, TT does not have much weight on its own in international forums and Caricom "should be moving better as a unit" in matters such as these, since under the Treaty of Chaguaramas, one of the things which Caricom is supposed to do is co-ordinate foreign policy. Going forward, Dumas said it would be interesting to see what happens to the British economy and London's position as a global financial centre. Reply to "Gopee-Scoon: TT preparing for Brexit"